Nebraska Dairy Update with Steve Martin, new Executive Director with A-FAN. The 2019 NSDA Annual Convention is this month! Lowell, through his membership on the DMI's Export Committee and Oversight Committee with USDEC, participated in a trade mission to Japan and will be offering highlights. Originally appeared in Progressive Dairyman website January 21, 2019. Promoting a surface on which cows want to lie down is about more than just comfort. The bedding material a dairy chooses plays a critical role in preventing mastitis, reducing injury, regulating temperature and fitting into the overall management system. One measure of bedding quality is the concentration of environmental pathogens, which play a role in milk quality and are major causes of mastitis – clinical and subclinical. Environmental pathogen concentrations are impacted by the dry matter and pH of the bedding materials. As bedding dry matter increases, the concentration of environmental pathogens decreases, and as the pH of the bedding material increases, environmental pathogen concentrations increase. Click here to continue reading. With the Legislative session in full swing, the NSDA continues to work with The Agriculture Leaders Working Group, (ALWG) which includes member-elected leaders from the Nebraska Cattlemen, Nebraska Corn Growers Association, Nebraska Farm Bureau, Nebraska Pork Producers Association, Nebraska Soybean Association, Nebraska State Dairy Association, and Nebraska Wheat Growers. One of the key issues continues to be the property tax issue, including the impact of school funding. The Nebraska Agriculture Leaders Working Group has announced its support for a bill introduced by Sen. Curt Friesen to fix major inequities in how Nebraska funds K-12 schools, while lowering property taxes for all Nebraskans. With numerous legislative proposals dealing with school funding and tax relief having been introduced, the agriculture leaders believe LB 497 is the best bill from which to start. LB227: Redefine terms and change determination of a public or private nuisance under the Nebraska Right to Farm Act Extends protections under the Nebraska Right to Farm Act for farms and public grain warehouse operations when the operation, after having been in existence for more than one year, changes from one type of farm to another, changes in ownership or size, adopts new technology, or utilizes reasonable techniques to mitigate dust, noise, insects, and odors and otherwise complies with applicable zoning regulations. LB333: Update federal references and redefine a term under the Nebraska Milk Act Adopts the FDA required updates of the Pasteurized Milk Ordinance and other national standards for milk safety and sanitation. LB184: Adopt the Small Wireless Facilities Deployment Act Provides uniform set of procedures, rates, fees, and permitting conditions for deployment of small cell wireless facilities and infrastructure throughout the State. And then, Legislative Resolution 13, introduced by Senator Dave Murman, , to Urge federal agencies of the U.S. Government responsible for food labeling to establish and enforce standards for nomenclature of plant-based imitation milk and dairy food products Proposes a resolution that urges appropriate federal agencies to establish and enforce clear identity standards for milk and dairy products and encourages the FDA to exclusively reserve the terms milk, yogurt, butter, ice cream, and cheese for products derived from real dairy origin. 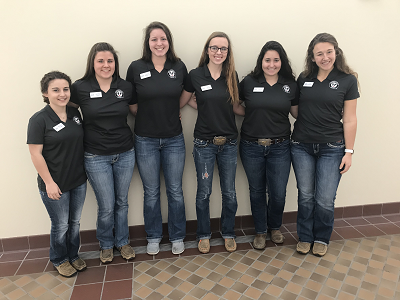 Six new Dairy Ambassadors were selected to represent Nebraska's Dairy Industry - Dawn Klabenes, Jessilyn Sayers, Marissa Kegley, Hannah Lowe, Erin Muntz, and Liz Ruskamp. Two Ambassadors, Dawn Klabenes and Jessilyn Sayers, are third year Ambassadors and will serve as leaders and mentors for the four first-year Ambassadors. Dawn Klabenes is a junior Animal Science major with a minor in Ag Communications from Chambers, Nebraska. She is a third year Dairy Ambassador and also a Dairy Extension Intern. Dawn hopes to advance her communications skills and become a better advocate for dairy. Jessilyn "Jessi" Sayers is a junior Animal Science major from Clarkson, Nebraska. she grew up on a small dairy farm and is a third-year Dairy Ambassador. For the past three years, Jessi has worked at the UNL Dairy Research facilities on campus. 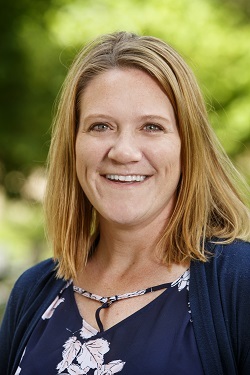 She hopes to serve as a mentor for the first year Ambassadors and create new ways to improve the program while staying connected in the dairy industry. Marissa Kegley is a junior Animal Science major from Kearney, Nebraska where she grew up on her family farm. She has been involved in dairy judging for both 4-H and FFA. Marissa hopes to become a better advocate for the dairy industry and further develop her leadership skills. She is using this opportunity to learn more about the dairy industry to better serve her clientele as a veterinarian. Hannah Lowe is a Sophomore Animal Science major from Murray, Nebraska. She is actively involve in a number of activities on campus including Block and Bridle, Ag Education Club and the NPPA Pork Mentorship Program. Hannah hopes to become a better advocate for dairy and communicate with consumers about agriculture. Erin Muntz is a sophomore Animal Science major from Louisville, Nebraska where she grew up on her family's dairy farm. Erin hopes to promote the dairy industry and give a voice to farmers and producers. She wants to encourage the public to learn more about the great aspects of the dairy industry. Liz Ruskamp is a junior Animal Science major from North Bend, Nebraska. She grew up on a small alfalfa and wheat and cow-calf pair farm. Liz is hoping to expand her knowledge of the dairy industry to promote the dairy industry to consumers. 2019 Ambassadors (L to R): Marissa Kegley, Jessilyn Sayers, Dawn Klabenes, Erin Muntz, Hannah Lowe, Liz Ruskamp. 26: Nebraska State Dairy Association Annual Convention; Columbus, NE. 15: Dairy Genetics Webinar with Dr. Brad Heins, University of Minnesota. Visit go.unl.edu/dairygenetics for information and to register. Are you an NSDA member? Click here for membership information. Advanced Comfort Technology/DCC Waterbeds Agri-King, Inc AgVenture The Seed Company Alltech Animal Health International Balchem Animal Nutrition Central Confinement Services, Ltd Central Dairy Supply DeHaan, Grabs & Associates, LLC Elosyl Products, Inc. Heartland Builders Hiland Dairy Foods IDEXX LALA Branded Products Legend Seeds LG Pumping Multimin USA USDA-NASS, Northern Plains Region Peterson Ag Systems Phibro Animal Health Corporation Select Sires MidAmerica Sioux Automation Center, Inc. ST Genetics West Point Dairy Products, LLC. Nebraska State Dairy Association Mission: The purpose of the Nebraska State Dairy Association is for the promotion of dairy interests in the state of Nebraska. Nebraska Dairy Extension Mission: As Nebraska Extension faculty with expertise in dairy production and agriculture systems, we provide science-based programs, resources, and knowledge to Nebraska’s dairy producers. Our aim is to empower dairy operations to be both sustainable and resilient while maintaining profitability. Our ideas, actions, and communications will promote resource-based stewardship while enhancing human and animal well-being. Copyright © 2016 Nebraska State Dairy Association, All rights reserved.